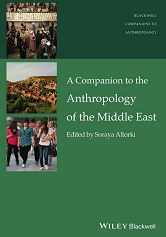 A Companion to the Anthropology of the Middle East presents a comprehensive overview of current trends and future directions in anthropological research and activism in the modern Middle East. Featuring contributions from a wide range of distinguished contemporary scholars of Middle East anthropology, chapters encompass the entire breadth of the regions cultural, social, political, and religious diversity. Redressive Action; Arranging a Marriage?